Come join a party of talented Indie authors at the Holiday Blog Hop! 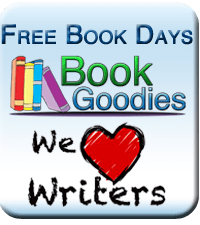 You can win lots of great books and there will be tons of freebies. Today and for the rest of the week all comments and likes on the Holiday Hop posts, and follows of my blog will enter you for a chance to win a $25 Christmas Gift donation in your name to Orphan Relief and Rescue. Don’t forget to visit my Goodreads paperback giveaways and comment below! Wow! I like this giveaway. Thanks! This is an awesome charity that my dear friend works for treating medical problems for the orphans. Be sure to like Orphan Relief and Rescue on FB to see all their updates and a video of the kids opening last year’s gifts.